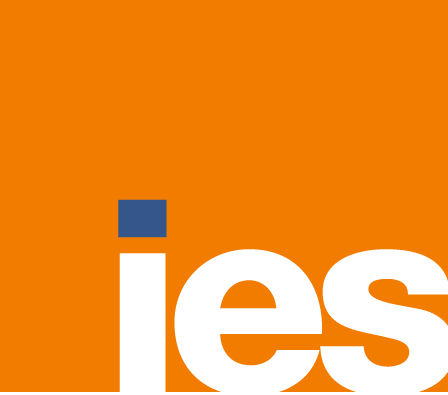 Help recognize Mark Testoni’s career achievements and attend the IES Annual Sales Excellence Award Event on May 31! 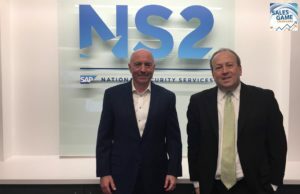 Mark Testoni is the CEO at SAP National Security Services, also known as SAP NS2. Mark is also going to be receiving the Lifetime Achievement Award from the Institute for Excellence in Sales at the 9th Annual Sales Excellence Award Event on May 31st in Falls Church. Prior to coming to SAP NS2, Mark held sales leadership positions at SAP and Oracle. He also spent 20 years in the Air Force. Fred Diamond: Mark, first off congratulations on the acknowledgement with the Lifetime Achievement Award. It’s great to have you on the Sales Game Changers podcast, why don’t you tell us a little more about you that we need to know? Mark Testoni: Fred, thanks for first having me today and second for being involved in a process that allowed me to be honored with the Lifetime Achievement Award. As I think I’ve mentioned to you in the past, sometimes you don’t know whether a Lifetime Achievement Award means it’s time to retire or you’ve been doing good things, I’m hoping it’s going to be the latter, not the former. It’s interesting, I’m probably one of those guys that would have been voted, “Least likely to succeed” in high school and two time college drop-out. I’ve somehow gotten myself through a process because some people believed in me and maybe I started believing in myself a little bit, and now run an important company in the national security space, an important company for SAP providing solutions for customers that are near and dear to our national security. I’m proud of what has transpired, it wasn’t always easy but I think probably the lesson I’ve learned from that – and I’ll talk about a little bit more – is you’ve got to believe in yourself first. If you believe in yourself, amazing things can happen. Fred Diamond: Why don’t you tell us a little more about SAP NS2? Tell us what you sell today and tell us a little bit of what excites you about that. Mark Testoni: I think many of your listeners have probably heard of the company SAP, one of the largest software companies in the world focused in the enterprise resource planning space, or at least that’s what our mother’s SAP was about. We bring a full portfolio of SAP solutions to our target market which is the US national security space, so we can think of the intelligence community or department of defense and other related activities. Opportunely, because of the cyber threat, in the last 5-6 years we’ve gotten much more focused and supporting SAP customers with some of our capabilities inside commercial spaces like aerospace, defense and financial services. Basically because of the unique requirements of the US government and SAP’s ownership, a German company, we have effectively set up a separate software company taking SAP to market in the space. Again, it’s being leveraged by customers far broader than we originally had targeted and what we thought they would be. Fred Diamond: Why don’t you tell us a little bit about how you made the transition from the Air Force into sales? Mark Testoni: Fred, it was by accident to some degree. When I was retiring from the Air Force and I knew I was going to be leaving, I started looking around and some friends had introduced me to various companies, one of them happened to be Oracle Corporation. I think a lot of us have admired and I still am a big fan of Oracle, I worked there for 10 years and I was hired for what was called a program manager position. I was just excited to have an offer making much more money than I was making when I was in the military and working for a prestigious company. When I got there, I found out, “You’re going to be in the sales process.” At first it set me back a little bit, the more I was involved I actually figured out that I’d been selling my entire life in the military ideas, thoughts and programs, I just never got paid commissions for them. That was interesting, by accident I guess would be my description. Fred Diamond: What were some of the things that you learned? You said again, you were in the Air Force for 20 years. What are some of the things that you took away from that experience that have helped you in your sales career? Mark Testoni: I mentioned earlier, you have to believe in yourself and your ideas but you can’t be tone deaf either, you need to be a good listener. I had leadership positions in the Air Force that I really learned how to run an organization which translated very well to running a sales organization because people are people and motivating might be slightly different for each individual, but that’s the same whether you’re in government or you’re in the private sector. You have to find those things that motivate people and creating a sense of teamwork and comradely is awful important. All those really good foundational things, mission focus, teamwork, all apply in the sales organization. Sometimes we think of salespeople W2 focused or coin operated or independently operating, I found it to be far from that. It’s about the team and most of them understand. I think that all translated very well for me. Fred Diamond: Mark, you’ve mentioned a couple times so I want to discuss this: “believe in yourself and your ideas”, that’s the first thing you said on today’s podcast. Again, we’re interviewing Mark Testoni, CEO at SAP NS2. Talk about that before we go deep further into the interview. You brought it up a couple times, what does that mean? We have Sales Game Changers listening around the globe, a lot of them are early in their sales career, give us some thoughts on that. Mark Testoni: That’s a great question, Fred. For me it was when I was younger, I didn’t have a lot of belief in myself. I thought maybe I wasn’t so smart, maybe I wasn’t so capable and early in my military career, actually before I went in my military I had an opportunity when I dropped out of college the second time. My father who was a school principal said, “Mark, we’ve got to find you a job because you don’t have any health insurance.” Back in those days you and I remember when you actually had to worry about that a little bit. He was sly like a fox, he got me a job as a custodian or janitor in high school and I was in a high school that was neighbor to one I went to and I was working with children who were not much younger than me. I was doing all those things that janitors do, clean toilets, sweeping halls but I learned a lot of valuable lessons and one of them was be on time and do what you say you were going to do. Those were really foundational blocks for me, I started creating self-discipline. After 6 months there, they offered me my own opportunity to run my own school and it was the first time I felt like I had been given some level of recognition, “Somebody thinks enough of me, maybe I need to start thinking more about myself.” I went from a guy that wasn’t really confident and didn’t really believe that I was very good at much of anything to somebody who started to believe, and that was reinforced when I went into the military. That’s why I think it is foundational, there’s a lot of young men and women out here who believe in themselves from the start, but sometimes we all have the doubts creep in, but you still have to be positive and maintain that. We go through cycles in our lives at this whether like me, very young or maybe in the mid-life career when maybe we didn’t get a promotion we thought we were going to have, we always have to believe in ourselves. That doesn’t mean that we’re tone deaf, we also have to look and maybe self-inspect and make sure that maybe we need to do things differently. Maybe we haven’t been as focused as we needed to be, maybe we’ve not completed things that we said we were going to do. Whatever those things are, we need to be smart enough to self-inspect, but at the same time we need to believe in what we can do. Fred Diamond: I have a question for you. As a very successful sales leader, you worked at Oracle as we mentioned, then SAP and now a division called SAP National Security Services, SAP NS2. You’ve worked with some elite sales professionals over your career but sometimes things happen, the government of course had a shutdown recently which cost some companies to rethink and there’s been challenges in markets that happen. What are some things you’ve done as a leader when you’ve noticed that somebody is either in a slump or they’re not performing as well as they have to get back the belief in themselves? Mark Testoni: As coaches and mentors which is what we really are as leaders as much as anything, we have to help people get to the bottom of what may be the problem and the crisis. I’ve often been accused of giving people too many chances, but I think that’s actually something that’s good because it’s often harder to replace somebody than it is to improve them. I found that it’s worked more often than not for me and I’ll talk a little bit more about that later in the interview, but I think it starts with helping someone get to the core problem and often when people are in a slump they’ll often look for excuses that are outside where the real responsibility is. They may appear to be feeling victimized by their circumstance or whatever, and it merely starts with, “Let’s look at the problems that we’re facing, let’s get them on a white board. How do we mitigate those? How many of those are things that we can control versus things that we can’t control? Let’s work on the ones we can control and see how we can influence the ones we can’t.” I think communication with your folks is so critical because I don’t care what level you’re at, people always go through these difficult times and our jobs as managers or as leaders is to mentor them through them. Fred Diamond: That’s true. People have longer careers now for obvious reasons, maybe more stops along the way but if you’ve reached a certain level and you’ve had success, there’s no reason why you can’t get it back. Mark Testoni: I can tell you that in the last 6 months, I’ve sat down with people even outside the company that I happen to talk with who are far older than 25 or 30 having these kinds of conversations. There’s been times in my life when I’ve turned to other people, so I think we need to use our networks more than just for business. Sometimes we need to use them on a personal level and we also need to help those in the network. Fred Diamond: Along the lines of that, tell us what you’re an expert in. Tell us about your specific area of brilliance. Mark Testoni: Brilliance? I don’t know, Fred. That may be a little bit of a reach, I’ll categorize it in a couple of different ways. First, functionally I understand the business of government and how it acquires and buys and figures things probably as well as anybody I know and only because I’m so darn old and I’ve been doing it for 40 something years and I’ve been able to capture it. I think I bring a perspective and ideas sometimes even at a sale cycle with my younger folks that are helpful, I think that’s really good. I think my real skill, though is I find ways to motivate people and I think it starts with listening to them. I think it transcends age, from the very youngest employees, I love when our interns come in here every summer. I relate and I have great conversations with them, I think I relate to people well and people I can get them surrounding a vision and a mission – which goes back to my military, we create visions and missions around the livelihood that we do today. I think I just have this knack to do this. Why? I think it starts with listening and I think pretty quickly on my feet, those two things are always pretty important in a portfolio. Fred Diamond: I’ve got a quick question for you before we ask you about some of the impactful sales career mentors that you had. Listening comes up not infrequently and some of the Sales Game Changers we’ve interviewed along the way have said that their area of differentiation is that they’re great listeners. Tell us some skills that the people listening to the podcast today can deploy to become a better listener. Mark Testoni: There’s the old joke about one mouth and two ears proportion. I think there’s a couple of things people can do. First, eye contact and even though you’re on a phone sometimes just by the way that you’re saying expressions and little things, you can give people the fact that they have eye contact, just engaging somebody. You want to make the person that you’re talking with honestly believe that they’re the only person in the world right now in your mind. I think there are people that have skills, I’ve had the good fortune to meet a couple of presidents both President Clinton and President George Bush, and both of them had that skill. That’s on the extreme level, but I think what that does is it communicates an interest, it communicates empathy and I think often in this fast-paced world we tend to forget those things. I really think little things, eye contact, head nods, really listening just like I’m trying to listen to your questions. Fred Diamond: [Laughs] again, we’re talking to Mark Testoni today, he is the CEO at SAP NS2. He’s going to be the Lifetime Achievement Award recipient from the Institute for Excellence in Sales on May 31st at the Marriott Fairview Park. Mark, you’ve worked at SAP, you’ve worked for Oracle, two of the top technology companies in the history of technology and again you spent 20 years in the Air Force. You must have worked for some amazing people, why don’t you tell us about an impactful sales career mentor and tell us how they impacted your career? Mark Testoni: Fred, I’ve got a few that I’d like to talk about very briefly and short verse, and some of them worked for me, actually. I learned a lot from them and I can tell you over the course of the many years I’ve worked with and around thousands of people and I probably learned something from every one of them. From important and famous names in this business, I’ve had the fortune to work with Jay Nussbaum. Most important lesson I learned from Jay, “Be bold.” We won a couple of pieces of business that I was around largely because we were bold and I learned that in sales from Jay. Ron Police, who works with us now here, he’s the president of our go to market operations, Ron has more energy than anybody. He is a great energetic leader and I love to be around Ron because how can you not be excited being around him? I had the good fortune to work with Bill McDermott, the CEO of SAP. Bill McDermott is a there’s-always-a-way-to-yes guy. It may not be an immediate yes and I’m not sure he would describe it that way but he is extraordinarily enthusiastic and he’s got ideas, and he’s always trying to move the customer where they need to be. Linda Zecher hired me and she ran Microsoft for a number of years, government space and she’s been around the industry, she was at Oracle for a while. Linda had great enthusiasm and I never forgot that, she was also a really big believer in her people. Then Jennifer Morgan who is the president of SAP’s global customer operation or co-president. We all know about the importance of building customer relationships, I watched Jen Morgan build relationships better than probably anybody I’ve ever seen and I had the good opportunity of having her work with me as part of the team at SAP. We did a lot of business together and she was amazing. I’ve hit on a few of them there and there’s probably been countless others but those stick out as really important to me. Fred Diamond: They’re some amazing people. We’ve had the opportunity to spend time with Jay Nussbaum, he actually was the second recipient of the Lifetime Achievement award, “Be bold”, that’s a good one. I’m going to definitely take that away and maybe we’ll even put that in the title of today’s podcast. Talking to Mark Testoni – Mark, what are the two biggest challenges you face today as a sales leader? Mark Testoni: I’ll give you a couple of things here. One, we’re in recruiting and retaining quality, talented people and I don’t say that glibly. It is something that’s a constant theme to me because as a CEO, obviously I’m very concerned about this year’s operations but I also want to make sure that we’re building the company of the future as well. I have a view that goes out several years and in an industry that’s largely been dominated by white males, I think it’s so important that we develop women as part of that and we’re trying to do that very hard here. We have some great, talented women but in general that talent chase is really important. From a customer perspective, the government customer has a stereotypical view of the government, pace and methodical and all that but I really don’t think it’s so much that. I think the challenge we have with the government customer in general – and this doesn’t really transcend industry – how do you get people to change acquiring things the same old way? In the government space, for many years the systems integration partners have been like a fourth state of government providing a lot of solutions and IT to the government, commercial technologies are usually a small part of the calculus. We think they can be a much larger one, companies like ours, Salesforce, Oracle, there’s a hundred other smaller, thousands. How do we get them to change? Because our biggest competitor is not Oracle, Salesforce or whatever, it’s inertia, it’s doing it the same way. While we’re trying our best to recruit all these great talented people, we’re trying to get our customers to start thinking that we’re a little differently and create models that they want to embrace by the future. There’s still embracing the old models, there are places where they’re embracing the new ones too which is great and you see it with some of the cloud activity, we’re seeing it and we’re starting to see breakthroughs but to me, we’re starting to get a crack if we create into a crevice, this could be a really important business. It’s not just for selling capability, it’s important to national security which is our space. I honestly believe that our government needs to empower the private sector to empower itself because their adversaries are doing back to us. Long answer, I’m sorry but I’m compassionate about that. Fred Diamond: That’s actually pretty interesting and you actually mentioned something there a second ago about as you try to bring more people into the sales forces that are selling into the public sector space. Is that a challenge, bringing people into this sector? Again, for the people listening to the Sales Game Changers podcast around the globe right now, we have listeners all the way in Australia and all over the world who listen for great sales advice and we’ve had a number of people who sell to the government and we’ve heard stories over time. Is that a hindrance, people coming into the marketplace that we’re servicing? Mark Testoni: I think it’s an educational thing. The government always has a stereotypical, “We do things slow”, methodical, but we eventually do them. It doesn’t have to be that way and I think sometimes the bigger the challenge, the bigger the reward because there’s your financial reward obviously if you sell things, there’s important rewards if we help government do better. There’s psychological ones and there’s patriotism and all that. I don’t think often the first place that people want to come sell is against the government space, but our job is to sell them on that and we’re being pretty successful at that because we think it’s a lucrative market in many ways for young talent. Often, much like the government didn’t hire a lot of young people for years and they’ve started picking the pace back up, I think a lot of the government sales organizations haven’t always gone after that. Some have, there’s a lot of inside sales teams that a lot of young people start, I admire what Craig Abod’s done over at Carahsoft around that, he’s created a lot of good and young salespeople out of that but we’ve got to recruit them in to want to go into the field and then bring them up. We need to sell them on the importance of government and how it can be lucrative to them. Fred Diamond: That’s a great point, it’s still Fortune 1 at the end of the day and also the mission. For people listening to the Sales Game Changers podcast around the globe, the mission of government agencies is tor really make people’s lives better at the end of the day. Mark Testoni: When we solve a problem, say, for the department of defense or for the intelligence community, it’s something to be proud of. We can help them do something faster and we are, and it really is. Mark Testoni: We’ll talk about a specific deal, although I don’t know as it’s turned out ultimately to be the success. When I was in my Oracle days in 2005, myself and a number of people including another guy at SAP right now, Andy Moore and a host of other people. Over a four year period, we won the Air Force supply chain business something called ECSS, we were a vast underdog at Oracle to SAP at the time and we won at largely because we worked it hard for 4 years and we understood what we needed to do to win and I don’t think the other side did as well. We executed flawlessly and it was a team, there must have been 60 or 80 people involved over a long period of time and the team came together and they believed in what we were doing and it included other software partners. If I had to pick one that still stands out probably is part of the reason that I’m over here in the SAP ecosystem today, because we had a vision when we won that piece of vision in those days and we thought we could maybe expand our footprint into aerospace and defense at Oracle, when the applications business. We had pitched some of the leadership at Oracle about getting control over that, they decided not to go in that direction, frankly old Mark Testoni started to get a little bored and SAP came knocking on the door and I went over. Thank G-d that happened because it was great at Oracle but it was greater, but I would go back to that one probably as the best. Fred Diamond: Did you ever question being in sales? Did you ever think to yourself, “It’s too hard, it’s just not for me”? Mark Testoni: No, Fred. It’s funny, I didn’t really understand what it was when I got hired in the job by accident, but what sales really is to me, and even when I have my days when I may be frustrated or weeks or months even, ultimately it’s about communication, relationship building and helping a customer solve a problem. It doesn’t matter what you’re selling really to a large degree, and I love the customer interaction either directly or indirectly. I love the strategy around putting the wins together and these in the software industry are not simple wins, I mentioned a 4-year sales process around, we also picked up the Air Force’s financial business at the same time, it was a building block similarly here. I love the intellectual stimulation, I love working with customers when my team allows me to occasionally still, but most importantly if we solve a problem and it makes a difference, it’s just an amazing rush. Fred Diamond: Mark, what’s the most important thing you want to get across to the selling professionals listening to today’s podcast to help them take their career to the next level? Mark Testoni: A couple of things, Fred. First, it’s tritely said often but it is focus on the customer. You’ve got to become intimate not only with the customer but what the customer’s challenges are. You don’t have to be the expert, and it goes back to listening which you and I talked about earlier, and researching. We have tools today, back when I started in sales or the internet was around, the vast majority of information that’s available now, any salesperson can be well equipped to go into a customer call and not trying to outsmart the customer but be able to understand the queues from the meeting and then also offer insights even on that first call. I would say focus on the customer and be prepared when you go in to any sales meeting. A corollary of that is when you’re a sales account executive in your first job or inside sales rep or even in first time VP, I think people tend to worry about where they’re going to be. The one thing I’ve learned in 42 years since I left pushing a broom is I always strive to do the very best in the job I had, I didn’t worry about the next thing. Those things happened for me, maybe I was lucky but you create your own luck. If you do well, you’re going to get more opportunities and if you need help, ask for it. It’s okay to ask for help but kneading it out, be prepared and be focused on the current thing. Fred Diamond: When they talk about looking to the future, a lot of it depends on what your habits are today. What are some of the sales habits that you’ve deployed or currently deploy to be as optimal as you can be? Mark Testoni: Preparation is really important on any call and I don’t go on as many, obviously as I did. I want to know a little bit about who’s in the meeting, I want to know what that organization’s role is, I try to do some of that research on my own and not dump it all on my follow up. When you say you’re going to do something, do it. You come out of a meeting, and I don’t care whether it’s an internal employee meeting or with a customer, if you say you’re going to do three things, do all three of them. Then stay focused, we can’t do too many things at once. What I try to do every morning is one of those two or three things that I need to accomplish today to go into my mental cabinet of things I want to accomplish this week, and then I write those things down. Actually, I’ll put them down electronically in my calendar often because I want to make sure that I get them done. These little discipline things that I really learned back when I was pushing a broom and when I was in basic training still apply today. I was asked one time, “What’s the most important thing that you can do?” In any, do what you say you’re going to do or die trying to get it done. I think that’s a lost art to some degree, I really do. Fred Diamond: One of the first things you said, “Believe in yourself and your ideas and also be accountable.” Ensure that you’re going to do what you say you’re going to do. Mark, what’s a major initiative you’re working on today to ensure your continued success? Mark Testoni: In the company as I said, Fred, a little bit earlier, our job is to look out or at least the CO beyond the current execution is where do we need to be in 2 or 3 years and what do I need to do from the people perspective? One of the things that’s really interesting that we’ve started – Ron Police brainchild this, but we’ve put some input – we talk about selling SAP capability. We’ve acquired three companies along the way and they’re very much focused in the mission space that I talked about in intel and the defense and we’re trying to take some of the IP they’ve created, intellectual property and some of SAP’s and we’re trying to commercialize a lot of this. We’ve started something called NS2 Labs, it’s an extension of the SAP development organization. It’s also going to be a place for our customers probably in the next 3 to 6 months to come in and interact with us. I was just down at South by Southwest yesterday and although timing-wise this might not be good for saying that. The reality was that I was recently at South by Southwest and it was interesting to see the amount of engagement capabilities that tech companies are showing now to get customers to do things. We want to create labs in that form where it’s easy for a government customer or a commercial customer that may have a need to come in and interact with us. We want to make it handy and easy, we want to lead them there, we want to encourage them there in our sales calls because we think there are a lot of these solutions that we’re working on inside the spaces that we are that have broader commercial applicability and that other government customers can be using. To me, Labs is going to be really important to our future as we develop, as we have these more rapid development cycles where we can on the fly basically do things for our customers, prototype them, show them and then get them into production for them quickly. Ultimately, what’s changed in the software industry for me in the last few years and will change even more is we’ve gone from it takes a period of time to do something, like 2 or 3 years to put a solution in for ERP back in the 90’s, we need to do a more impactful solution in 2 or 3 months now. Hopefully I make sense, but to me this focus around Labs is really important for us. Fred Diamond: Before we get to the last two questions, I need to bring this up. You mentioned you were at South by Southwest in Austin, Texas and this interview is going to run a couple weeks after today’s recording but why were you there? Why is the guy who is the CEO of SAP NS2, why did you go to that particular show and what was your expectation, did it achieve those expectations? Mark Testoni: It’s interesting, I was only there briefly. We sent a team down there this year because Austin, Texas is becoming a little Silicon Valley satellite anyway, and a lot of it’s around companies that are small startups that are developing security capabilities. Also, the army future’s command has headquartered itself down there, it’s brand new and all the military department, what you would call laboratory environments like DIUX and software are all coalescing to some degree in that area or in the close-by. We wanted to go down and see, and what started as a music festival back in the 1980’s is now half of a social tech fest first half and then the second half is music. We’re just trying to see if the platform will work for us, we had 6 or 7 people down there that were actually looking at it. Also, SAP had a very big presence down there as a company and they gave us the opportunity to talk about our veteran’s training program. We did that in front of a large audience, that program is called NS2 Serve. We basically take military vets that may be harder to employ, don’t have degrees and we turn them into SAP IT business consultants over about a 10 to 12 week period. We put about 300 through now and every one of them has had a job opportunity or career opportunity, don’t want to turn this into a pitch for that but we actually had the opportunity. We were fortunate enough to have a celebrity, a former injured combat vet J.R. Martinez down there with us involved with that, it was really good. I think the show has got some potential from a business perspective, more from a branding then probably there’s a lot of people of all ages there and obviously it becomes a celebrity destination. It was interesting. Fred Diamond: Once again, congratulations. We didn’t really touch too much on NS2 Serves, but we’ll provide a link to that and give people some more exposure for that. Mark, just two quick questions for you. Sales is hard, people don’t return your calls or your emails. Again, you’re in a very competitive space, you bring a lot of value to your customers, you were in the Air Force for 20 somewhat years and before that you mentioned you were a custodian in a school. Why have you continued in sales? What is it about sales as a career that has kept you going? Mark Testoni: Fred, I go back to helping customers solve problems that sometimes they can’t see the solutions to or even understand the problems. Sales drives the economy, it is the heart of the economy and it’s an important function. Sometimes it’s stereotyped as not being important, it is perhaps the most critical function in business because if people don’t buy things, they don’t solve problems and there’s no revenue generated for the company, and there’s no value generated. That alone and with a government customer, to me the needs of this customer, I often think why try to sell around some of the apparatus we sometimes have to deal with? We need the customer to get rapid solutions and we need to create business models where they can consume them fast, and that’s the same goals I’ve had for 20 years since I’ve been on this side. Fred Diamond: Very powerful, once again Mark, thank you so much for the great interview today. A lot of great content, a lot of great things to think about for the Sales Game Changers listening around the globe. Again, you’re the recipient of the Lifetime Achievement Award from the Institute for Excellence in Sales, it will be bestowed upon you on May 31st at the Marriott Fairview Park in Falls Church. You’ve given us a lot of great things to think about. Mark, give us one final thought to inspire the Sales Game Changers listening around the globe today. Mark Testoni: Fred, this is a little different bent but I’m going to take you down a different road. Probably the person I’ve learned more from than anyone in life, and it goes to the point that we can learn from almost everybody that we come in contact, we just need to remember to look to do so. I have a son by the name of Matt who is 35 years old, Matt’s a special needs guy, he’s development disabled but I would not be a CEO today had he not been my son. I’ve learned probably three important lessons from him, first is patience. I mentioned earlier that I think at times I probably held onto people longer than others thought I should have, but most of the time it’s panned out – not always, but most of the time. My son taught me patience, he learned an awful lot when we were together when he was young largely because I had to develop patience to give him the time to be able to execute so I learned a lot from him. Enthusiasm, my son is the greatest music fan of all and he is so enthusiastic about the music he likes to hear, but just in life he’s got a smile on his face all the time. Probably the most important thing that I’ve learned from him – and it’s something I think we all need to take to heart beyond patience and enthusiasm – we need to look at what people can do and not what they can’t do. That was a lesson that is probably the #1 thing that has helped me be successful. I think one of the things I do well is it’s not that you ignore things that people can’t do, but what makes a great teamwork is if you take the strengths and blend them all together because people are all different and try to mitigate the risks. My son, Matt was probably the most important figure in my life and gave me the opportunity to be so honored to be able to receive the prestigious award that you guys are bestowing me and have the opportunity to be on this podcast today which has been a lot of fun. Great success story. I love stories of success found from hard work, discipline, basic respect for people and confidence in yourself. Congratulations Mark!